A sixth-form student from a Shrewsbury school has double the reason to celebrate. For Eleanor Wade, who is a year 13 pupil at Shrewsbury High School has not only been offered a place at Cambridge to read English, she has also been shortlisted for top film award. And she could be rubbing shoulders with Hollywood royalty next month when she attends the Into Film Awards at the Odeon in London's Leicester Square to find out whether her film which she collaborated on with 20 other youngsters at Wem-based MediaActive takes the top slot. 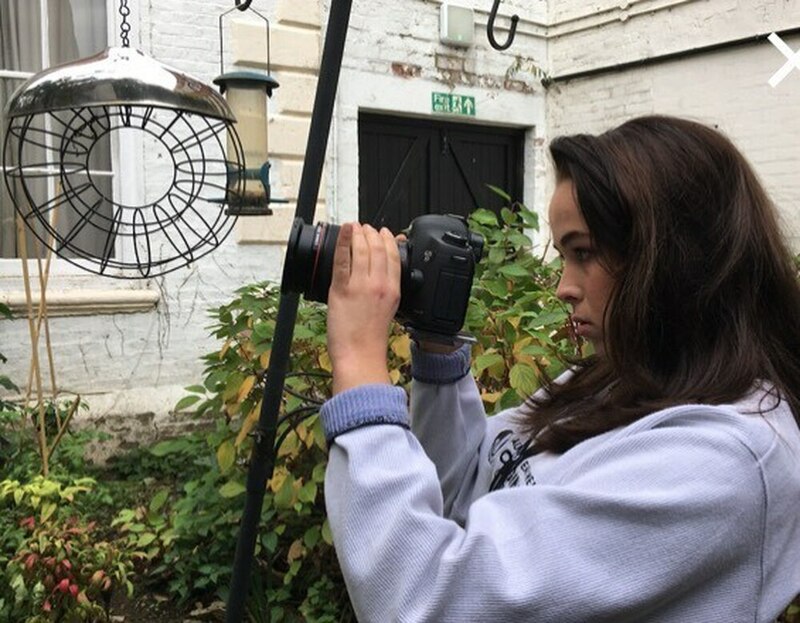 The talented teenager applied to attend the British Film Institute Academy over the October half term and along with fellow 16-19 year olds was commissioned to make a film based on messenger pigeons in response to the 2018 RAF Centenary and WW1 Commemorations. The film is an animated documentary, using an array of experimental animation techniques, revealing the crucial role messenger pigeons played in wartime. Eleanor worked on a scene where a message is written on a piece of paper, which then folds itself into an origami pigeon – it lasts only seconds but took three days for Eleanor to work on. The film is one of just three shortlisted out of hundreds of entries in the category of Best Film Ages 16-19, and creators and parents have already enjoyed a premiere of the film at the British Film Institute. The awards ceremony takes place on March 4 and last year, celebrities such as Daniel Craig and Eddie Redmayne attended.